Premium spirits label manufacturers, The Label Makers, have recently created a new look label for a home-grown artisan small batch gin distillery, 3 Pugs Gin. 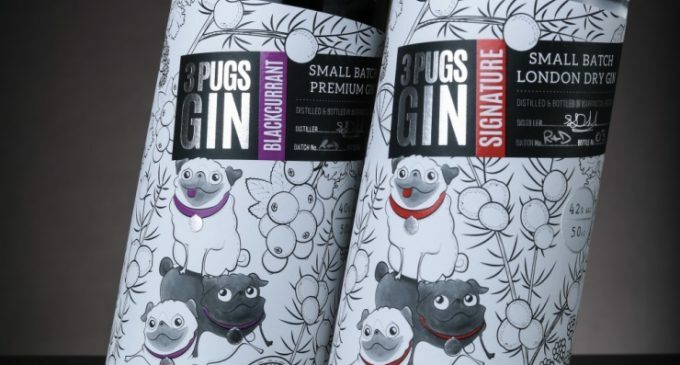 The brainchild of a husband and wife duo, Warrington-based 3 Pugs Gin started life as a hobby that has since grown into a successful craft distilling business. The name for the business comes from the couple’s other passion in life – pugs.